It's pricey - but this serum really works | Is This Mutton? TV and radio presenter Mariella Frostrup (age 55) was recently quoted saying that people had asked asking if she had "some work done" because her skin was looking so good. She said no, it was all down to a wonder serum. She didn't say what the serum was but it may well have been Lancer Skincare Pure Youth Serum. 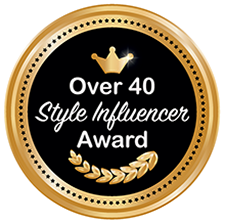 Normally I would never spend £230 on a serum: I have tried many different serums and never been very impressed with any of them. But sneaky Feel Unique put a sample tube of Pure Youth Serum into one of my gift bags recently, and I started using it without looking it up. The next day I was pleasantly surprised to see my skin really did look smoother and more plumped up. Usually in the morning I have eye bags, a bleary, sallow look and all manner of age related woes. I used the tube until it ran out and I was so thrilled by the results, reader, I splashed out on the full size (30ml) version. I use the serum every other night. It has dramatically improved the appearance of my pigmentation marks, and reduces redness around the nose. The surface wrinkles are also reduced. Even better, it doesn't cause dryness or irritation in the way that many serums enhanced with retinol or AHAs often do. 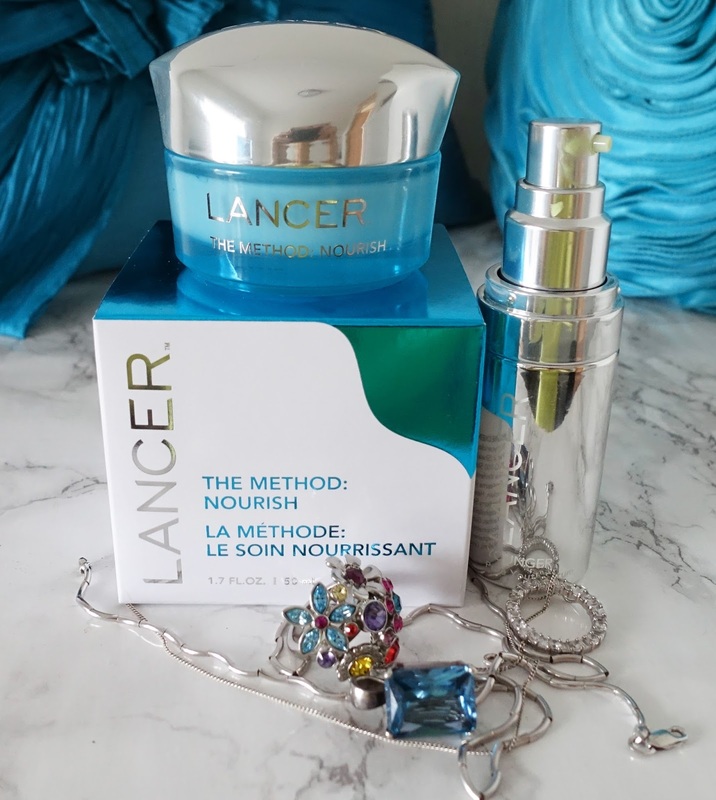 I'm so impressed that I've just started using Lancer Skincare's The Method: Nourish (less spendy at £105). It's too soon to give a verdict. So what's the skinny on Dr Lancer and his miraculous products? Harold Lancer is a Beverly Hills dermatologist, the son of Austrian immigrants who grew up in a farmhouse located in a rural town in Connecticut. At the age of seven, he suffered severe burns over 10% of his body after falling into a vat of near boiling water. While the recovery process was painful and tedious, this experience greatly influenced his clear belief in restoration instead of alteration as the most effective way to obtain beautiful skin. His "Method" is renowned for giving what's described as "the Lancer Glow." The Pure Youth Serum uses retinol-like compounds - a proprietary mix called Mimixyl™- to signal the skin to produce new skin cells and collagen. Most dermatologists recommend the use of a retinol based product to help diminish the signs of ageing. By apparently harnessing the skin's own ability to create new, younger looking skin, the serum can dramatically reduce the appearance of sun damage, and lessen fine lines and other age signs. If you're tempted, Lancer Skincare products are currently reduced in price at several outlets including Feel Unique and Harrods.com. It's currently £117 at Look Fantastic and £138 at Feel Unique. Click here for ingredients. Next week (Thursday) I'll be giving you a root round in my make-up bag. This is something I loved doing as a child. Sharing this post with the weekend blog hop at Claire Justine and #SaturdayShareLinkUp at Not Dressed as Lamb. Good idea Laurie because what works for one person may not work for another. Hopefully though at those prices it will work for anyone! Gosh and wow! What a whopping price! I think serum is a very important part of any skincare routine and I was thinking of upgrading from Boots No 7 Youthful serum to another, which would roughly double the price but - I just couldn't spend that much!!!!! I've just had a bit of spend on clothes too, and was thinking I must be frugal for the next 6 weeks!! So, won't be able to go that far. Never mind - it sounds as though it is very good. I will try the upgrade though and report back! Sounds fab. I may do as Laurie and try a sample. Pricey 30ml isn't it. The serum has come in price quite a lot: at Look Fantastic it's £117 and at Feel Unique £138. Whoo this does sound good Gail. I could do with some decent cream but I can only afford them under £10. at the minute. 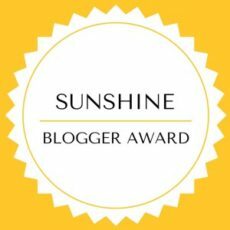 Hopefully one day :) Thanks for sharing at Welcome To The Weekend Blog Hop hope you're having a lovely weekend.